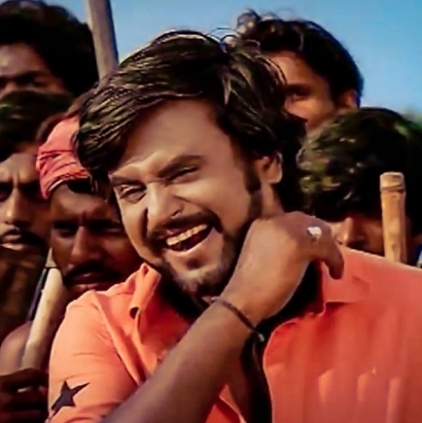 We all know the kind of hype generated for the next Rajinikanth film with upcoming director 'Madras' fame Pa.Ranjith. In fact, Ranjith is said to have told his team to treat this as just a 'film' and not hype it up too much in their heads. So here goes an interesting bunch of info about this film. - Rajini has supposedly not discussed about his remuneration till now and is said to be focusing completely on just making the film as memorable as possible. The veteran is reportedly making sure that all departments of this film are in fine order. But the Superstar seems to have complete trust on Ranjith and his team and has given them the required freedom. - Director Ranjith is apparently under a friendly pressure from all his 'Madras' actors to cast them in some role or the other in the movie. At the same time they also seem to understand the difficulty that Ranjith is facing to not cast anyone redundant. In this regard, there is a buzz that Kalaiarasan (Anbu in Madras) is in the film though the actor or anyone related to the film hasn't confirmed anything. - We also hear that a team of writers is working on fine-tuning the script of the film. Not just this, the whole fraternity of young new-age directors are reportedly much enthused about this film, as one of their own has made the huge leap towards a Superstar film. As said earlier, the technical team of Madras is working on this film and composer Santhosh Narayanan has already started working on the score too. Featuring Rajini as an ageing gangster, the shoot of this Kalaipuli Thanu production will soon commence in Malaysia from August. July 3rd is the day for Arulnithi? ''My 2nd half begins here'' - Lingusamy declares emphatically ! Date fixed for India’s biggest, evergreen onscreen couple! The track list of Papanasam is here! Mouna Guru director all ready to strike it big! Director Ranjith Is On A Location Hunt In Malaysia For Superstar Rajinikanth's Next. Santhosh Narayanan Starts Composing For Rajini's Upcoming Film With Director Ranjith..
People looking for online information on Kalaiarasan, Madras, Pa Ranjith, Rajini, Superstar Rajini - Ranjith film will find this news story useful.